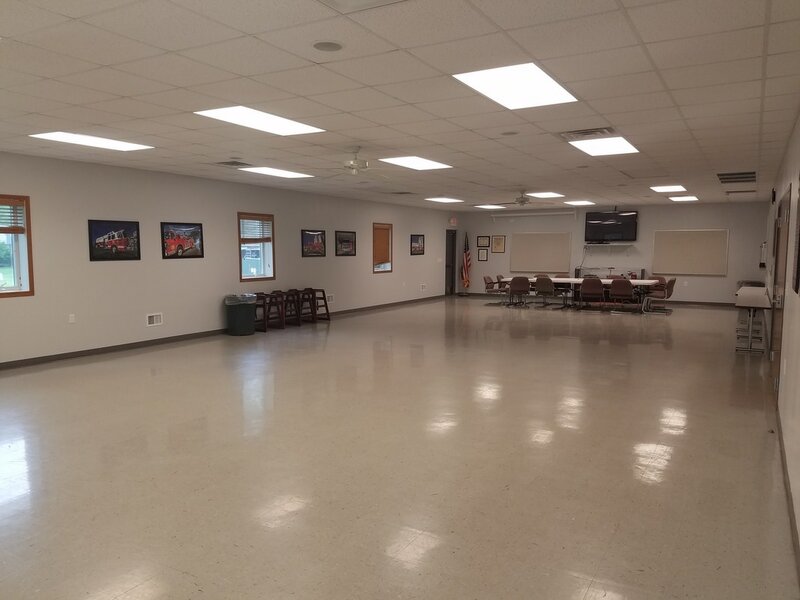 ﻿The Fire Department contains a large meeting room that is available for community and private events. 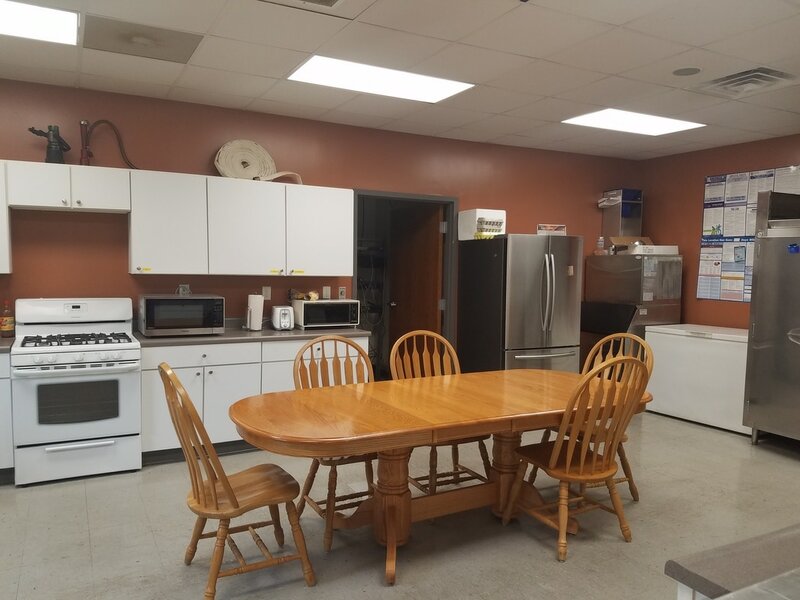 Along with the meeting room there is a kitchen that can also be used. 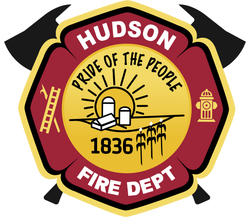 ﻿﻿﻿﻿​﻿﻿​﻿﻿﻿The Hudson Community Fire Protection District Meeting Room may be used by the Village of Hudson Illinois residents in accordance with the HCFPD policies at times when not being used for official HCFPD related programs provided an application and agreement granting use is approved by the office of the Hudson Community Fire Protection District Chief. All children’s groups must be supervised by an adult over 21 years of age during all the time they are in the building, on the grounds, or using the facility. The ratio of adult to children shall be at a minimum, ten to one. Use of the facilities on holidays is not allowed, with the exception of Labor Day, or any Sundays, without approval of the HCFPD Trustees or the HCFPD Chief and/or an approved subordinate. Please read the Meeting Room Policy before submitting your request or contacting the HCFPD with questions. If you have further questions please call Jason Brutlag at 309-726-1501.